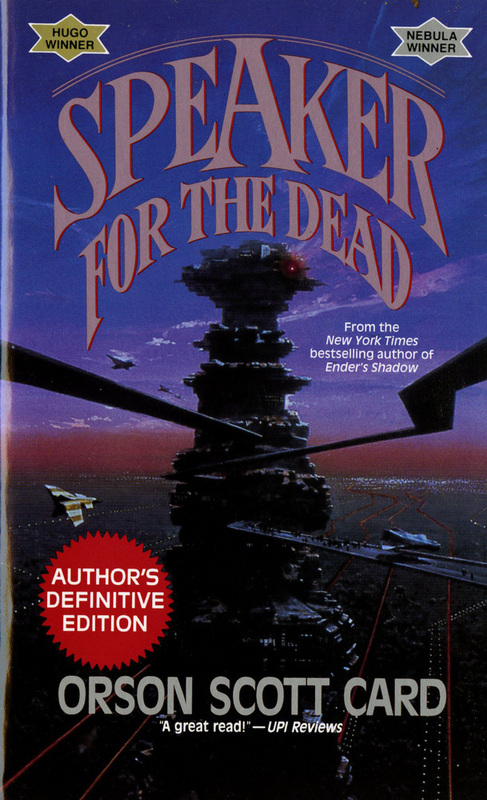 Listen to this audiobook excerpt from Orson Scott Card's science fiction novel Speaker for the Dead, the thrilling sequel to Ender's Game and winner of the Hugo and Nebula Awards. This full cast unabridged recording includes an original postscript written and recorded by the author. Orson Scott Card is best known for his science fiction novel Ender's Game and it's many sequels that expand the Ender Universe into the far future and the near past. Those books are organized into the Ender Quintet, the five books that chronicle the life of Ender Wiggin; the Shadow Series, that follows on the novel Ender's Shadow and are set on Earth; and the Formic Wars series, written with co-author Aaron Johnston, that tells of the terrible first contact between humans and the alien "Buggers". Card has been a working writer since the 1970s. Beginning with dozens of plays and musical comedies produced in the 1960s and 70s, Card's first published fiction appeared in 1977 -- the short story "Gert Fram" in the July issue of The Ensign, and the novelet version of "Ender's Game" in the August issue of Analog. The novel-length version of Ender's Game, published in 1984 and continuously in print since then, became the basis of the 2013 film, starring Asa Butterfield, Harrison Ford, Ben Kingsley, Hailee Steinfeld, Viola Davis, and Abigail Breslin. Card was born in Washington state, and grew up in California, Arizona, and Utah. He served a mission for the LDS Church in Brazil in the early 1970s. Besides his writing, he runs occasional writers' workshops and directs plays. He frequently teaches writing and literature courses at Southern Virginia University. He is the author many sf and fantasy novels, including the American frontier fantasy series "The Tales of Alvin Maker" (beginning with Seventh Son), There are also stand-alone science fiction and fantasy novels like Pastwatch and Hart's Hope. He has collaborated with his daughter Emily Card on a manga series, Laddertop. He has also written contemporary thrillers like Empire and historical novels like the monumental Saints and the religious novels Sarah and Rachel and Leah. Card's recent work includes the Mithermages books (Lost Gate, Gate Thief), contemporary magical fantasy for readers both young and old. Card lives in Greensboro, North Carolina, with his wife, Kristine Allen Card, He and Kristine are the parents of five children and several grandchildren.